Opportunities to give help others increase tremendously at the dawn of the holiday season. This year, make the act of giving a family effort! Here are opportunities to give your time and energy to bettering someone else’s Thanksgiving or Christmas as you and your family serve side by side. Purpose: The Orange County Child Abuse Prevention Center directly serves at-risk children and families in crisis to prevent and break the generational cycle of child abuse. Opportunities: Volunteer as a “reindeer” to help deliver donated gifts to families in need or as an “elf” on December 13th and 14th to sort through and organize gifts in the North Pole Warehouse. Purpose: Families Forward helps families gain the skills and tools they need to stabilize, regain or maintain their self-sufficiency as well as provide stability for their children. Opportunities: Prepare food bags for Thanksgiving and join the Thanksgiving-themed grocery donation or distribute gift bags to help provide for a family’s basic needs this Christmas. Purpose: Make-A-Wish grants the wishes of children with life-threatening medical conditions to enrich the human experience with hope, strength and joy. Opportunities: Donate toys, gifts or airline miles, adopt a child’s wish or create your own fundraising campaign. Don’t forget to stop by a “Believe Station” at a Macy’s store in Orange County between November 8th and December 31st to drop your letter stamped and addressed to Santa At the North Pole! Purpose: Centrally located on the busiest street of Orange and Garden Grove, You Are Special helps its neighbor in need by providing an accessible food pantry and showing the love of Christ in the process. Opportunities: Join You Are Special’s efforts by collecting ingredients and packing grocery bags for the Holiday Thanksgiving Meal Outreach. Purpose: Human Options provides safe havens and life changing programs to help abused women, their children and families rebuild their lives — and works with the community to break the cycle of domestic violence. Opportunities: Adopt a family by December 13th and donate gifts to each of its members to unwrap on Christmas day. Purpose: KidWorks strives to transform challenged neighborhoods in central Santa Ana by building on the strengths and potential in the community through education, character formation, and personal development. Opportunities: Volunteer December 9th-13th by hosting or joining the holiday toy drive. Contribute a new, unwrapped toy to the drive and bring a smile to a child’s face in one of the Santa Ana at-risk neighborhoods. Purpose: Giving Children Hope works to promote family sustainability, economic independence and self-sufficiency so that children can grow in stable environments. 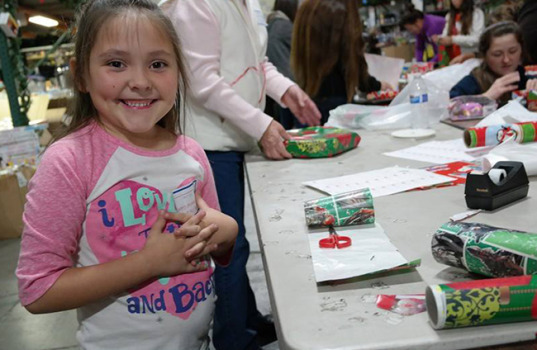 Opportunities: Volunteer by sponsoring a wish list from a student in the GCHope program or choose from one of the six Wrapping Party dates and help wrap over 4,000 Christmas presents. Purpose: Miracles for Kids works towards improving the lives of children with cancer and other life-threatening illnesses. Opportunities: Volunteer your time and resources by becoming a Grant Program supporter, joining the Fund-a-Family program or delivering produce and canned goods with the Basket of Miracles program on November 21st and December 11th-17th. Purpose: The Holiday Project organizes visits to people in nursing homes, hospitals and other residential institutions in order to rekindle holiday cheer and gratefully give back to the community. Opportunities: Volunteer on Christmas day and visit the nursing homes around Orange County through songs, gifts and warm conversation. Purpose: Serving People in Need provides programs to serve the homeless in the community and assists in finding solutions to the many causes of homelessness. Opportunities: Join one of SPIN’s many family-oriented projects including the warm clothing drive, canned food drive, adopt-a-family for Thanksgiving or Christmas, house warming basket project or even in event of your own! Purpose: Grandma’s House of Hope is a non-profit charity, serving underserved and underprivileged persons in Orange County through affordable housing and various programs. Opportunities: Volunteer to donate and deliver food to homeless children, decorate the homeless shelters for the holidays, prepare for the Children’s Holiday Party on December 21st or prepare Christmas dinner for 45 homeless women living in the nonprofit’s Healing House. Purpose: Kids Who Care works toward brightening the stays of kids in the hospital undergoing major surgeries. Opportunities: Volunteer by sending a “smile pack” to a child in the hospital, collecting toys for hospitalized kids and teens or by joining the travelling variety show to provide entertainment. Purpose: Second Harvest Food Bank reaches out to the community for donations, grants, fundraising, food drives, food rescue, harvesting and volunteers to help provide food, education and advocacy for the hungry. Opportunities: Join the fight to end hunger in Orange County this year by helping out in the warehouse through the sorting food and fresh produce for the community. Purpose: The Homeless Intervention Shelter and House assists families, couples and individuals as they regain self-sufficiency through housing, training, counseling and personal support. Opportunities: Volunteer your your families’ time by providing childcare, homework club, painting time and gift wrapping. Purpose: It is the Mercy House mission to end homelessness by providing a unique system of dignified housing alternatives, programs and supportive services. Opportunities: Volunteer opportunities include giving welcome baskets to new families in the shelter, hosting holiday parties, assembling sack lunches and cleaning the shelters. Purpose: South County Outreach helps those in crisis reach self-sufficiency by providing homeless prevention services, transitional housing, computer learning labs, thrift stores and various seasonal programs. Opportunities: Volunteer this Thanksgiving or Christmas season by adopting a family and providing food, clothing and toys for each of its members. 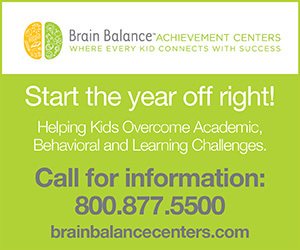 Purpose: For over 40 years, Child Guidance Center has been providing quality behavioral and mental health services to Orange County children and their families as well as empowering them to reach their potential. Opportunities: Volunteer December 7th and 8th at the Holiday Tree Fantasy Event. Opportunities include decorating the Christmas tree, selling raffle tickets and setting up for the event.